Head of Chen Tai Chi Ireland. Coach of the first Irish medal winning team in the world championships in China. Shifu O Floinn began external martial arts at age 10 and was introduced to Tai Chi from his Shaolin Kung Fu teacher in 1993. During a 9 year period, he investigated the internal martial arts with many renowned teachers until finally settling upon the full time study of Chen Style Tai Chi, the oldest form of Tai Chi. Since April 2002, he has been a student of one of China’s highest level coaches, Grandmaster Wang Hai Jun, who himself has won over 30 gold medals and taught the most number of national Tai Chi champions in China. 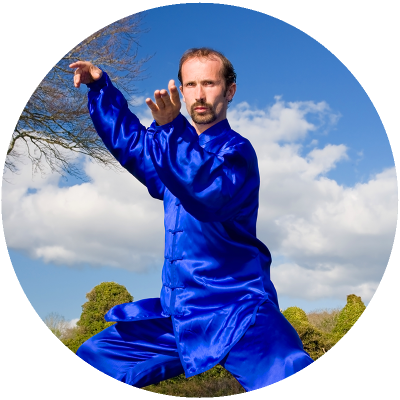 Shifu O Floinn set up Ireland’s largest Chen Tai Chi Academy in 1996, where as well as teaching weekly classes to the public, he has trained many people to become teachers who now run clubs all over Ireland, different parts of Europe and South America. In Galway, classes are held in the Rowing Club and in St Joseph’s Community Ctr, Shantalla. Shifu O Floinn also runs classes in Kilkenny on Thursdays and in Clonmel on Fridays. For Shifu o Floinn’s international teaching schedule, please visit our seminars page.